We provide custom residential and commercial property fencing, pool fencing, arbor & pergola installations and more. Call 860-748-8607 for a free quote. Deer & Horse Fencing: In order to keep the deer out we have the best fencing solution for your property. Our horse and deer fencing is available in a range of options. 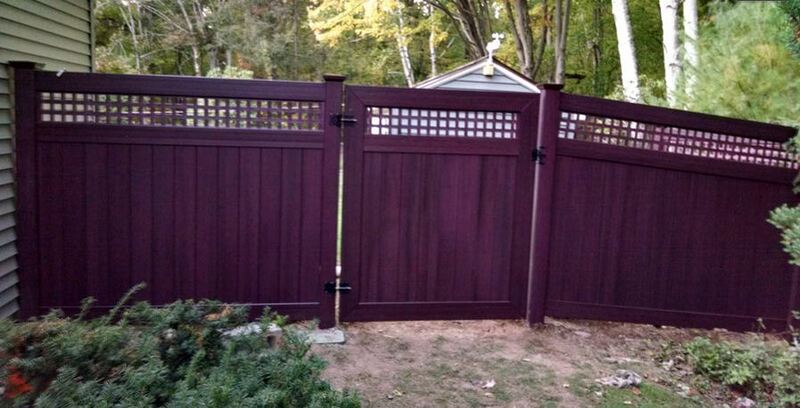 Custom Residential Fencing: From pet fencing to child proof fencing we can deliver a custom solution for your home. Guard Rails: At Fence It In we not only provide custom property fencing, but industrial guard rails that offer safety and protection. Choose from either wood or metal guard rails. Custom Commercial Fencing: Whatever your design or style needs, our team can provide a custom solution for your commercial property. Repair: At Fence It In our team can provide weather damage repair, accidental damage repair and insurance claim repair for all types of fencing. Removal: Have a fence that’s falling apart or that you a fence that you just want removed? We can provide the team and tools to remove the fence from your property quickly and safely. Pergola Installation: Whether you want a free standing pergola or a custom attached pergola design, our team can deliver any style pergola to enhance your landscape design and home’s aesthetic appeal. Pool Fence Installation Is not only a great way to add character to your backyard and pool. It is also a great way to keep your little ones safe. At Fence It In LLC we are educated and make sure all our pool fence installations are up to ct code and with all the safety requirements such as a self closing and locking gate doors.